What is Speech-Language Therapy in the Early Intervention Therapy Program? Speech-Language Pathologists (SLPs) in the Early Intervention Therapy Program at the BC Centre for Ability offer services to children with developmental concerns or disabilities, and their families. SLPs work collaboratively with physiotherapists, occupational therapists, and social workers to provide screening, assessment, and intervention services to children referred to the Early Intervention Therapy Program. Services focus on helping the child become successful in daily routines and participation in home and daily life. We serve children from birth to 5 years of age who have physical, neurological, intellectual or developmental disabilities and reside in Vancouver, Burnaby, North Vancouver, West Vancouver or Richmond. Why is Speech-Language Therapy Important? Speech-Language Pathologists are trained in human communication, its development and disorders, eating and swallowing problems. SLPs are committed to the prevention, early identification and treatment of speech, language, communication or feeding difficulties. SLPs provide screening and assessments to identify delays or disorders and develop therapy programs to help children develop strong speech, language and communication skills. The early years are crucial for speech, language and communication problems. Building skills in the first 5 years of life is important to lay a strong foundation for learning in school. Speech-Language Pathologists work with families to identify goals and family priorities for the child. Family circumstances are taken into consideration and therapists work together with the family to determine a plan of care that best suits the needs of the child and the family. Tier I services are educational sessions on a variety of topics in response to emerging client needs. These sessions provide information and general strategies for families to try at home. Tier I services are open to all parents referred for therapy services and many are open to other caregivers. Tier II services are specific to each child’s needs and are offered to small groups of parents on matters that match their needs and priorities or to children who would benefit from therapy group intervention to address specific goals. Tier II services are offered to families following the screening assessment. Tier III services are specialized hands-on services to address a specific area of need. Intervention services at this level require a full assessment of the child’s skills and developmental level. Children with very high medical needs will immediately move to Tier III on discharge from hospital and may receive direct intervention for a period of time. Children with less complex needs will be best served by the services offered in Tier I and Tier II. Families may see their child move between the services offered in Tier II and Tier III multiple times while they are with the BCCFA. Services may be delivered in a variety of environments and may change as your child grows. Locations include the BC Centre for Ability, regional clinics, home, community settings or in daycare or preschool facilities. Decisions about where and when to deliver services are dependent on goals being addressed, the family situation and therapy team capacity. A physician referral is not necessary to access the BC Centre for Ability Speech-Language Therapy services. Please complete the Parent Request for Service Form or if you are a community professional please complete the Physician and Healthcare Provider Request for Service Form found in the Resources section to the right. Parent or guardian written consent is required to speak with other professionals about your child. If other service needs become evident, internal referrals can be made to BCCFA services to facilitate a team approach. 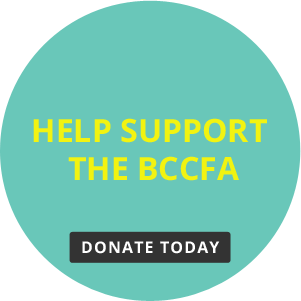 If your child is receiving services from another provider and you wish to transfer to BCCFA your request to transfer can be discussed with the Director of Speech-Language Pathology. Decisions to transfer are based primarily on the clinical profile of the child.